Advanced Metering Infrastructure (AMI) is already a clear reality for many electric utilities across the world, using IoT connected devices for billing readings. 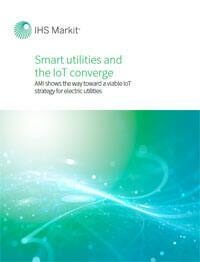 However, many utilities still do not perceive themselves to have yet adopted the IoT movement. How can this difference in opinion and action exist when some $58.2 billion will be spent on meter-to-cash-focused AMI solutions by utilities between 2016 and 2023? Download this complimentary whitepaper to gain leading market analysis into the impact AMI will have on the global electric utilities market and how electric utilities companies will have to adapt to face this new reality. Fill out this form to receive your complimentary whitepaper.